As students we have all experienced that the price of textbooks and readers is often ludicrously high. These expensive books are often sold used and yet resale values of these books is rarely close to the cost of the texts we bought. SlugSwap allows UCSC students, and potentially others, to connect and exchange books that they need and have. The system is built around the idea of posting what you have and what you need and letting software connect people who have books with those that need them. Thus everyone gives and takes equally from the supply of books. Many of our teammates had no previous experience in Python, and all of us had never before touched Django. We spent the first couple hours learning the basics behind Django such as its Model, View, Template format. We divided the work up and had two of our teammates working on the first templates and two of our teammates working on the beginnings of our views and models. When we put it all together in our virtual environment, we were excited to see our web application up and running with all of the pieces working in unity. All four of us learned the basics of Django. Three of us, all of whom had prior coding experience in various languages, wrote our first Python applications. It was the first time that one of us was running their own virtual environment. We all became more experienced writing HTML and CSS. Despite our many technological achievements, I would say that our proudest achievement is working together to construct a project from start to finish. We communicated with each other and combined our creativity and technological skills to create something tangible, and I wish that wonderful feeling for all hackathon teams. 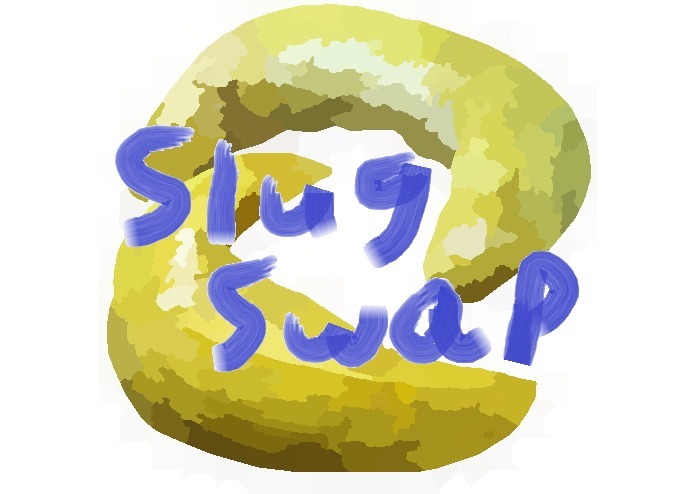 There are many things planned for SlugSwap! Once we have the basic application running and fully debugged, we are planning on creating multiple categories so that students can swap more than just textbooks! We also realize that SlugSwap can work for other communities such as our fellow universities, so we plan on scaling until there is a SlugSwap out there for you!